That perception didn't last long. Today, Instagram is an online marketing powerhouse. The platform now has more than 800 million monthly active users and rising, while there are more than 25 million business profiles also in use. Participating on Instagram can change your professional destiny in a number of great ways - by exposing your personal brand to influential people and companies, helping you find new opportunities to network and grow, and more. Check out these seven successful business accounts you should follow right now and see what you can learn from them. The shared office space brand makes great use of visuals, but also employs smart hashtags to help its content get viral traction and more exposure. WeWork has amassed more than 200,000 followers, and regularly earns hundreds of likes on its posts. 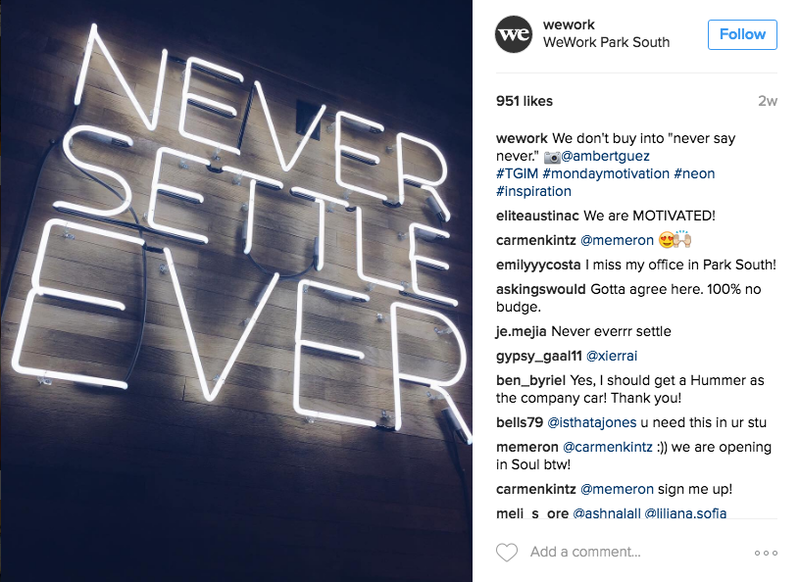 The company is great at tapping into trending hashtags, too, and making itself a part of the larger-scale conversations happening around Instagram, as WeWork did in the #MondayMotivation post above. The classic cookie brand is killing it in social, with an incredible 2.4 million followers. It's not at all unusual for Oreo to get more than 50,000 likes and hundreds of comments on a post. So how does the company do it? In addition to the vibrant, eye-catching blue it's incorporated into its profile image and many pictures, Oreo uses clever video shorts. Viewers love the 10- to 15-second clips. Shipping company FedEx has mastered the art and science of presenting user-generated content (UGC) for a more engaging Instagram feed - and one that's surely less costly to produce and manage. The brand shares colorful photos taken by its fans, usually featuring a FedEx vehicle of some variety out doing its thing. The result is a personable and interesting stream of content the company really didn't have to work that hard to curate. Everything about Nike's feed screams "Look at me" - and people do, 75.7 million of them. Nike uses celebrities and real athletes to capture the attention and interest of fans, but what it does once it has your attention is what's truly masterful. The brand has a really smart call-to-action strategy - Nike builds campaigns of Instagram posts all directing viewers to click on the link at the top of its profile to learn more. Instead of just sending people to the company website's homepage, Nike often uses that clickable link space on its profile to feature the campaign's landing page. Nike knows that viral success is great, but there has to be a point to it if you're in business. While crowdsourcing and UGC can be great content-creation tactics for some brands, big-ticket items such as cars warrant the highest-quality creative your budget can buy. Audi's Instagram posts are visually stunning, colorful, and polished. The company has amassed more than 10.1 million followers with its feature focuses and action shots. The iconic fashion brand regularly earns tens of thousands of likes for its fashion-plate posts. However, Gucci has a strategy of using behind-the-scenes shots, too, which wins it much love from fans. 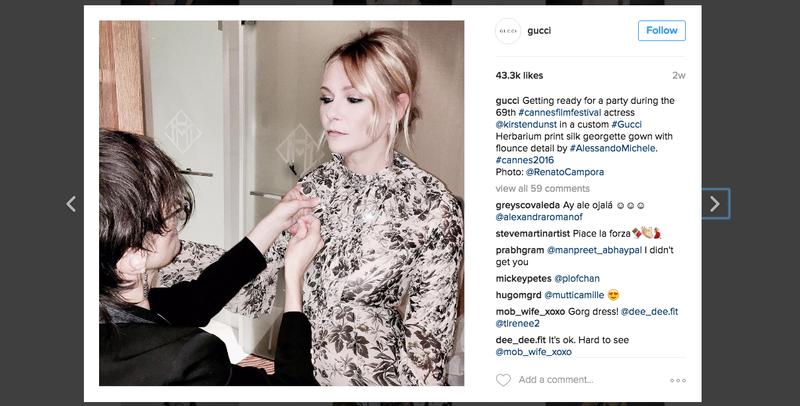 Gucci's Instagram shows us that while it's smart for brands to use professional photos, there's a lot of value in giving your audience a sneak peek at less polished, unscripted content, too. I love GE's Instagram, because it really proves that any type of brand can find success on the platform. We’re bringing in the #newyear at #GE with a look back at a few of our favorite moments from 2017. Swipe through to see highlights from #DRONEWEEK, #BalanceTheEquation and more. Wishing everyone a very happy and healthy New Year! Take a page from GE's book and get creative. Think of the different ways you could tell your company's story that are visual, attention-grabbing, and engaging. This post was first published on Inc.com.